Masonic Hall 2687 Dunsmuir Ave. Cumberland, BC. 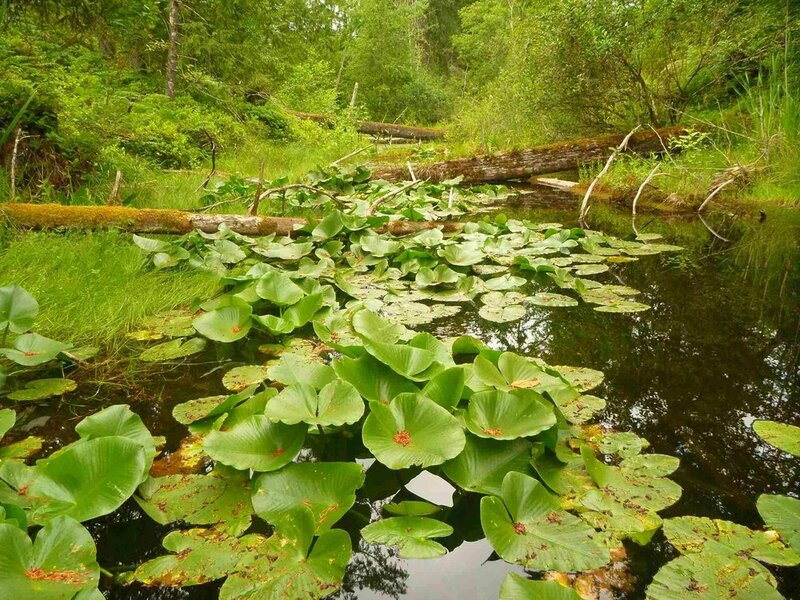 Wetlands are a crucial part of the Comox Valley’s natural environment, providing a host of ecological and recreational features. Yet wetlands are not sufficiently protected in British Columbia. In places like the south Okanagan 85% of wetlands are gone. The Cumberland Wetlands Conference is a two weekend event designed to increase awareness of the extensive, diverse and beautiful wetlands that are such a large part of Cumberland. A combination of hands on experiences and presentations by experts in their respective fields, this conference will cover the history, current state and possible futures of the wetlands. Birds, insects, amphibians, beavers, plants, water, geology and the connection between wetlands and marine health will all be explored. Main Conference $20 — Saturday May 11, 9 am - 6 pm. A full day of learning about our wetlands. Ten experts will speak about wetland ecology, plants, birds and amphibians. Explore the link between the health of the “J” Pod orcas and wetlands. We’ll talk about the unique geology that makes Cumberland a village surrounded by wetlands. Finally we’ll talk about current and proposed wetland protection and the future of Cumberland’s wetlands. Included in the price is a traditional BBQ seafood lunch prepared in a fire pit by members of the K’omks First Nation Guardian Watchmen. Click LEARN MORE to register! Mother’s Day Wetland Tours (Free) — Sunday May 12, 10 am & 2 pm. Grab the family and come explore Cumberland’s wetlands! Morning and afternoon guided trips, 1 to 1.5 hours each. Choose from one of three Cumberland wetland locations. Come experience the beauty and mystery of these wetlands from local naturalists! Click LEARN MORE to register. CCFS SCIENCE PUB night ($10) — Friday May 10, 7 - 10 pm. : WETLANDS, BEAVERS AND COLONIALISM. Sponsored by the Cumberland Community Forest Society, Join us for this special CCFS Science Pub as part of the Cumberland Wetlands Conference. Admission is $10 and includes engaging presenters, delicious samples, hands on interactions, on theme beverage bar, door prizes, fun breaks with great music and live screen printing. Be prepared for science, fun…and a little Canadian History!